I have an unusual Seiko SYKZ980 (5328-0010) from the mid 1980’s. This is a mechanical watch that has a basic layout with a seconds sub-dial. The watch design is quite basic and it has a simple case and dial design. 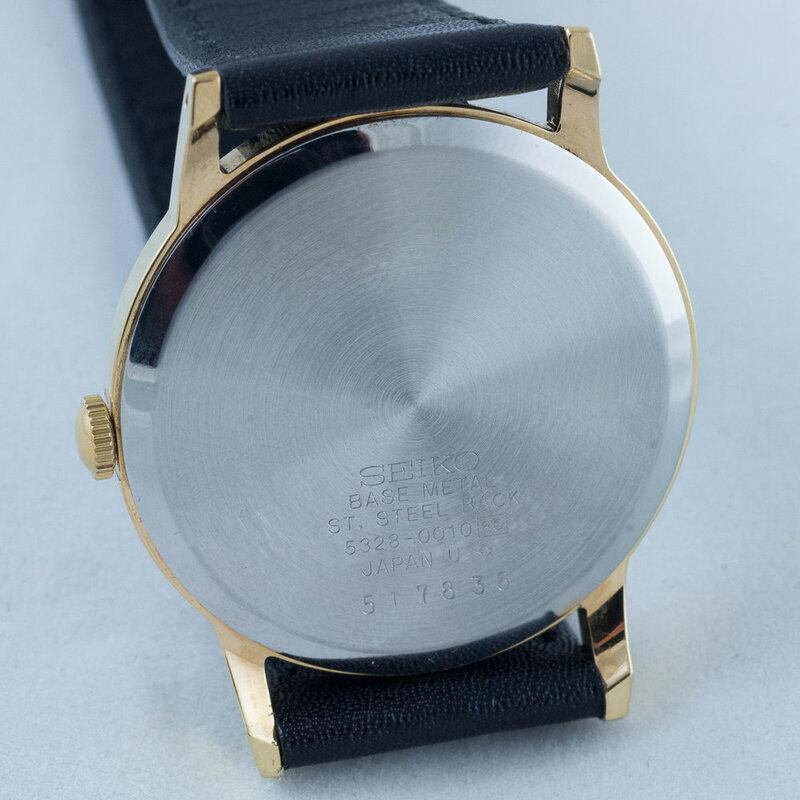 The crown is un-decorated and the dial is easy to read using the traditional Seiko font that can be seen on models all the way back to the original Laurel. The case is plated base metal with a stainless steel snap back. Despite being a clean and simple design the real reason I purchased this is because of what was on the inside, the 5328A calibre. 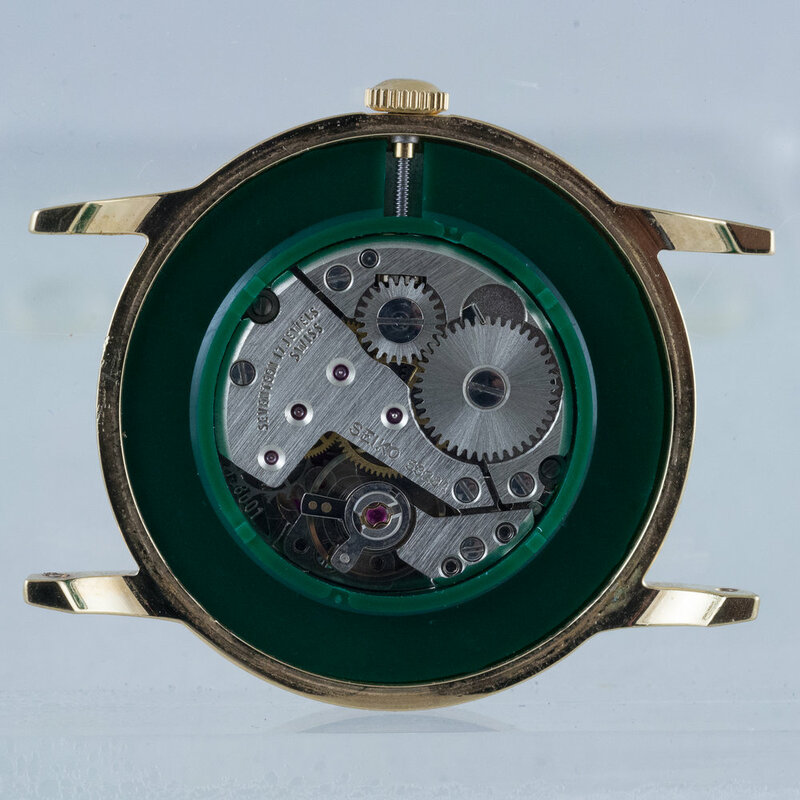 This is a 17 jewel hand wind movement has a diameter of just 19.7mm so it was able to be used in both men’s and ladies models. The interesting part of the movement is really to do with the place of manufacture of the calibre. As you can see on the movement it is clearly marked SWISS. 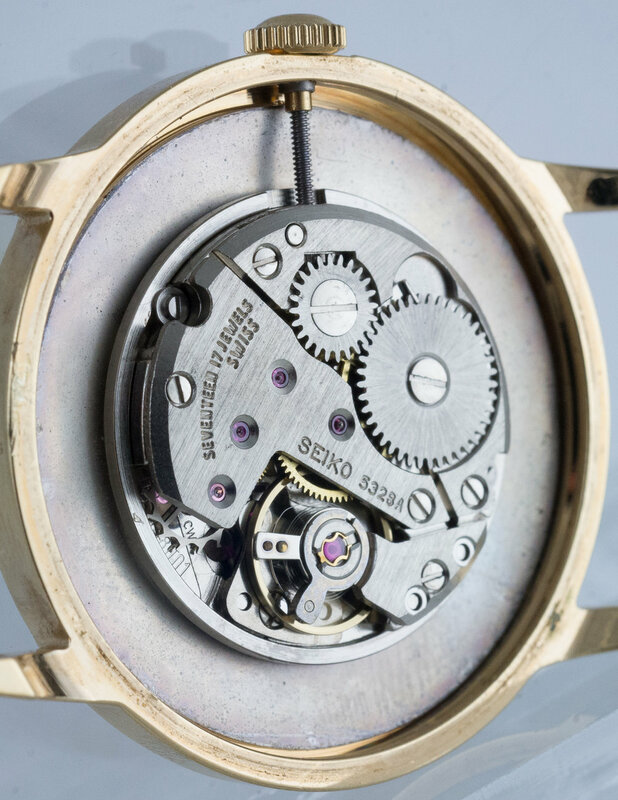 The finishing on the movement is very basic and it was clearly manufactured to be highly functional at an affordable price point but was never designed to be a really high level calibre. On the movement there are a number of stamped markings on the base plate. These include a number 138001 near the edge to the left of the balance wheel and above that CW4. Just to the left of the number is also a company logo. These markings are quite difficult to see with the movement assembled but I found a photo online (Fujiyama Antique Watch and Clock) where the markings can be easily recognized. As you can see from the image the company logo is for Fabrique d'horlogerie de Fontainemelon (FHF). The number (138001) is a FHF movement reference and this is normally referred to as 138.001. The manual wind movement has 17 jewels, is 19.7mm in diameter and 3.2mm thick. The movement runs at 21,600 A/h with a power reserve of approximately 47 hours. FHF was one of the original companies that founded Ébauches SA the Swiss movement manufacturing group in 1926. In 1985 FHF was merged into ETA and ceased to be an individual company. The serial number on this watch indicates that it was produced in January 1985 and all of the examples I have seen for the men’s models have been from early to mid-1985. An unusual thing about these watches is that they only appear in the 1987 volume 1 and volume 2 Seiko JDM catalogs. The image below shows the full line-up from the Seiko 1987 Volume 1 JDM catalog that all used the same 5328A movement. These models do not appear in the 1984, 1985, 1986 or 1989 Japanese catalogs. There was no JDM catalog released in 1988 so it is not easy to determine if they were still current models at that time. It is possible that these models were not actually released to the market until 1987. There may have been a lot of controversy internally within Seiko around the release of a watch with a Swiss movement and it was delayed. It is also possible that there was problems with the movement delivery due to the structural changes at F.H.F. and while the cases were completed in 1985 the movements were supplied later and complete watches were not able to be released until 1987. The catalog states that these models had only a JDM warranty and that international warranty was not available. The marketing description for these models target users who want to get back to a mechanical feeling of a watch and to allow the user the pleasure of winding it manually each day in a market dominated by quartz models. 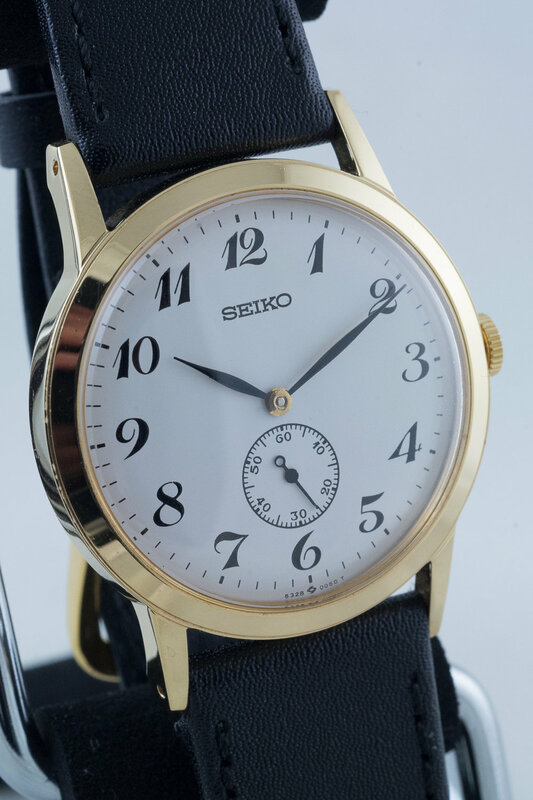 It was around this period that mechanical movements began to make a resurgence in popularity and Seiko was not making a mechanical sub-second movement at the time. The original idea may have been to pay homage to the original Laurel design but the only way to achieve this in the required time frame was to utilize a third party movement. Whatever happened with the release of the model we can be fairly sure that these models were not produced in large quantities or for a long period. Like many things with Seiko there are often many unanswered questions but this is another interesting piece in the company’s history. Update 2017/07/05: I acquired another model from the range, the YKZ960 (5328-5000). This example came with the original hang and manual. One interesting thing to note is that the rear of the hang tag states cal.5328, hand wind, Mechanical Body: Made in Switzerland, so it is clear that Seiko was not attempting to disguise the movements origins.